Truly stunning luxury custom home in prestigious Kerrisdale area, situated on tranquil tree-lined street and flat lot w/ 6 bed+5.5 baths. Meticulously designed by renowned architect and interior designer, the expansive layout and elegant design details offer a lavish, modern living experience. Features superb craftsmanship throughout, high ceilings, quality brushed oak hardwood floors, stylish wall paneling, gourmet kitchen & wok kit, top of the line appliances & cabinetry, wine cellar, A/C, HRV. Recreation room with open home theatre and wet bar creates the perfect entertaining space. 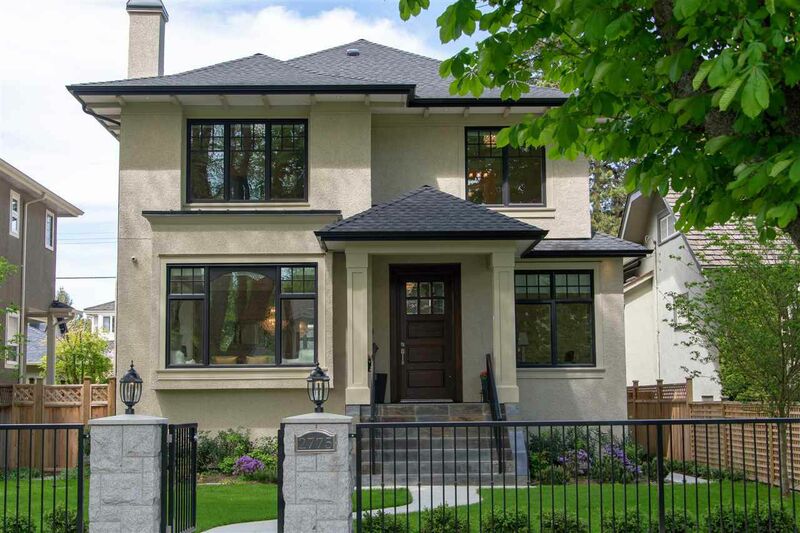 Walking distance to high-ranked private and public schools - Crofton House, Kerrisdale Elementary, Point Grey Secondary. Close to Kerrisdale shopping, parks, transit & short drive to UBC.